I’ve found that one of the best ways to get the kids interested in the great outdoors is to inspire them with nature. With so many beautiful creatures and insects on our doorstep, I decided we’d get involved with creating an environment that would welcome butterflies, hedgehogs, birds, squirrels and more to our garden. And the kids are loving it! Plus, the great thing is, places like SGS offer all you need to get started – and without breaking the bank. I’m not an avid gardener, but wildflowers are so easy to look after. Thinks like scabious, verbena, lavender, thyme, primrose, thistle and ice-plant are ideal and are full of nectar for butterflies and bees. The flowers just need to be easy for the butterflies to access but look stunning in your garden too, giving it a real country cottage feel. They might need planting in a shady spot (always check the pack before sowing) and don’t forget to look out for caterpillars who love these plants, too. A lot of people will rip out their hedges in favour of low-maintenance fences, but if you can, keep your hedge in place. This is the perfect environment for a whole host of wildlife, including small mammals, birds and insects. If you’re thinking of planting a hedge, opt for varieties that produce berries e.g. Pyracantha, elder, hazel, holly, hawthorn or berberis. These will work hard to attract lots of birds. Equally, if you do have fences and walls surrounding your garden and aren’t too keen about ripping these out in favour of hedges, you can encourage wildlife by growing plants over these. Birds will use these shrubs and climbing plants as a refuge as they provide great cover and are also perfect for nesting. If you don’t fancy getting your green fingers to work, you could do something as simple as feeding the birds. All you need are some hanging feeders and/or bird tables. Place one near to your living room or kitchen window so you can see the birds from the warmth of indoors. You could even get the kids drawing them when wet weather stops play! And if you don’t mind planting or are looking for some new species to add to your garden, look for native plants for your area. While hedgehogs tend to visit at night, there are a number of things you can do to make sure they’re coming into your garden. Installing hedges instead of fences will ensure they can get through into your garden (or keeping a small gap beneath the bottom of your fence and the ground). Plus, you’ll need to make sure your garden isn’t pruned to perfection (yes, really!). Hedgehogs like dead twigs, tall grass and fallen leaves as they can take shelter in these when they want to hibernate. Finally, even if your garden is on the small size, don’t let this stop you from welcoming wildlife. 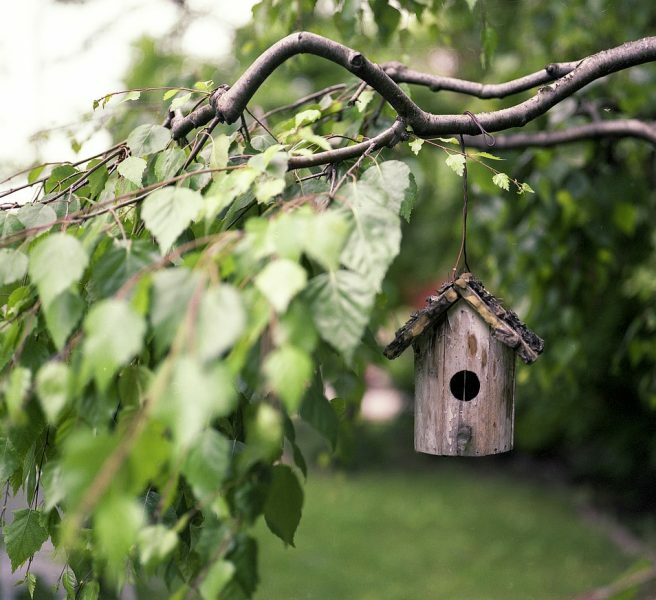 Simple changes can really make an impact, whether that’s putting up a window box full of wildflowers for the butterflies or hanging up a bird feeder by your back door.